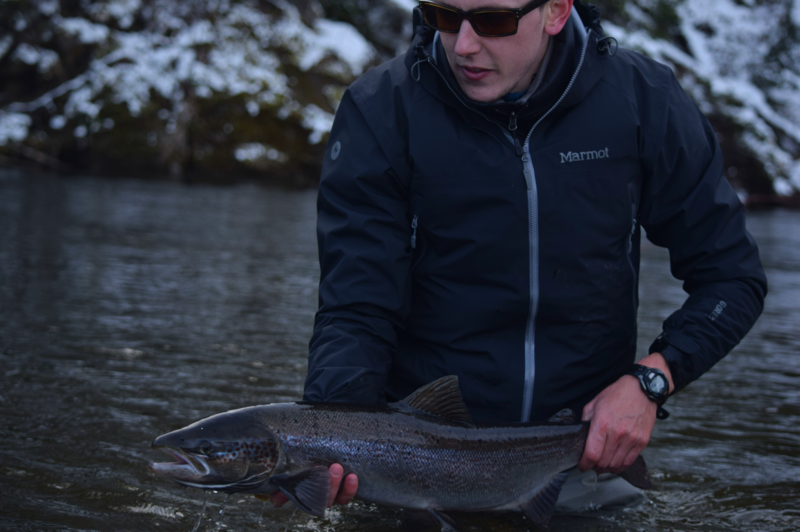 Dalhousie PhD student, Xavier Bordeleau has been researching Atlantic salmon with the support of the Ocean Tracking Network for the past three years. In this interview, we explore how the knowledge he and his colleagues are gathering will provide an improved understanding of adult Atlantic salmon habitat use and the factors affecting their survival in rivers, through the Bras d’Or Lakes of Cape Breton, Nova Scotia, and in the North Atlantic Ocean. 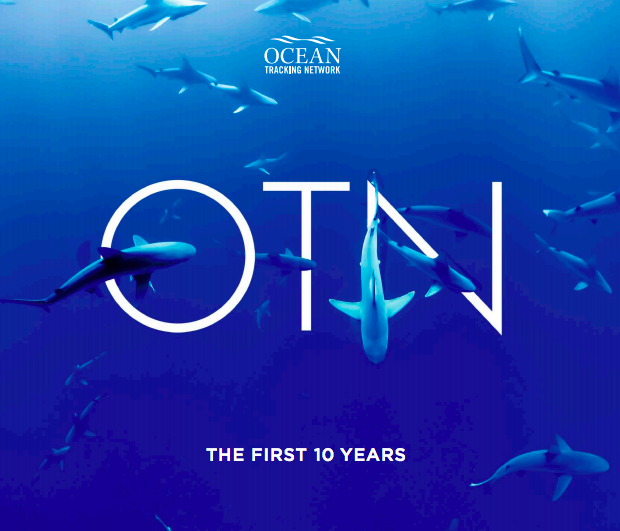 How did you end up collaborating with Ocean Tracking Network? From a young age, I knew I wanted to become a marine/fish biologist. After graduating from the University of Sherbrooke in Quebec, Canada, I had the desire to pursue graduate studies in aquatic sciences and live closer to the ocean. After a discussion with Dr. Glenn Crossin (assistant professor at Dalhousie University, Halifax and current supervisor), I became aware of the opportunity to work with him and the Ocean Tracking Network to study the movement ecology of Atlantic salmon using telemetry technologies. To me, this was the perfect opportunity! What motivated you to study habitat use and movements of Atlantic salmon? I’ve always been fascinated with aquatic ecosystems and curious about how fishes were making use of their habitat in streams, rivers, lakes and at sea. Studying salmon (and diadromous species more broadly) is unique in the sense that they spend parts of their life in freshwater and others at sea. This requires working in both environments and combining knowledge of processes occurring in rivers, estuaries and beyond. I also have the desire of tying my interests and curiosity to conservation. Atlantic salmon are very important ecologically, culturally and economically but are declining throughout their global range largely because of us. Here in Nova Scotia, most Atlantic salmon populations are now endangered and I feel that we have the responsibility to care and protect them. This starts with gaining scientific knowledge of the factors contributing to mortality, especially at sea. What’s happening in the marine environment has largely remained a mystery. Developments of telemetry technologies and infrastructure deployed by Ocean Tracking Network is allowing us to track Atlantic salmon beyond rivers. What can you tell us about your past and current Atlantic salmon research? Unlike Pacific salmon species that die after spawning, Atlantic salmon can survive, migrate back to the Ocean to feed and rebuild energy stores and swim back up the river to spawn again. Generally, less than 10% of adults manage to survive and repeat spawning because they invest so much energy during upstream migration and reproduction. Repeat spawners, especially females, are experienced and larger individuals that are believed to have important reproductive contribution (e.g. producing more eggs). However, we know very little about this phase of the Atlantic salmon life-cycle in terms of over-winter habitat use, seaward migration timing and factors influencing post-spawning survival. Information gathered combining electronic tracking technologies and physiological sampling techniques (to collect information on salmon’ post-spawning nutritional, immunological and stress states) will contribute to management and conservation actions directed at this charismatic species and its habitat. What are the objectives of your Atlantic salmon research? My research aims at better understanding how Atlantic salmon post-spawning physiological state (nutritional, immunological, and stress) is affecting their subsequent migratory behaviour and survival on their journey back to sea. My colleagues and I are also very interested better understanding the role of the Bras d’Or Lakes system (a unique brackish inland sea of Cape Breton Island) in the Atlantic salmon life-cycle. Mi’kmaq traditional ecological knowledge suggests that some Atlantic salmon reside in this system to feed (a sort of local migratory strategy) rather than migrating to the North Atlantic Ocean, and we want to test this hypothesis using telemetry. In an effort to support Atlantic salmon populations, every year the NS Department of Fisheries and Aquaculture captures adult salmon, transport them to the hatchery to collect and fertilize the eggs, and raise juvenile fish to release them in the rivers about a year later. After about a month of captivity, adult salmon are also released back in their natal river. 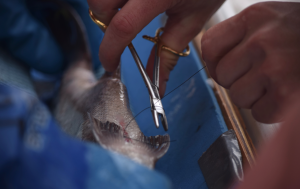 We are interested in assessing the potential implications (on physiology, behaviour and survival) of adult salmon capture as part of this program, by comparing hatchery versus wild-spawned fish. This is an aspect we also know very little about. Finalizing transmitter implant surgery on an anaesthetized salmon (Photo: Leah Strople, December 2015, Middle River). 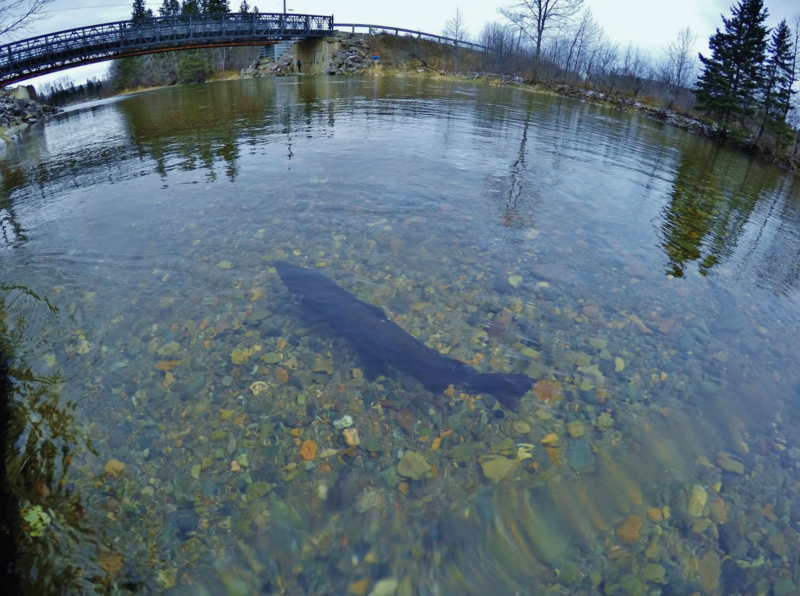 Why should people care about Atlantic salmon populations? Wild Atlantic salmon are an important part of the social and economic fabric of eastern Canada, playing a central role in First Nations culture and an integral part of Canada’s natural history. Atlantic salmon are also remarkable animals, often undertaking long-distance migrations to the coasts of Greenland to feed and coming back to spawn in the exact river they were born in.To me, the resilience of salmon and the serenity of those cold, slow flowing rivers is inspirational and something I feel deeply connected to. I think we should all care about protecting Atlantic salmon and their ecosystems, which also benefits the diversity of species that live within them. Personally, I feel like we should also care because we are largely responsible for their decline. What has been your most significant scientific finding to date? While my colleagues and I are still in the writing stages of our research, our findings suggest that following spawning (in the late fall) salmon with depleted energy reserves either died or left the river shortly after, while salmon in better condition spent the entire winter in the river before migrating out to sea in the spring. 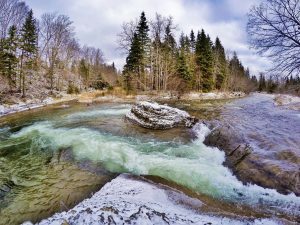 While this has been observed previously and is likely due to salmon in poor condition having to gamble and leave the river to resume feeding in non-optimal and riskier conditions, it seems like this decision about when to leave the river had a great influence on their longer-term survival. In fact, only a minority of salmon that entered the Bras d’Or Lake system shortly after spawning and through the winter managed to survive, while the vast majority of salmon leaving the river in the spring survived to reach the Atlantic Ocean. This points out to the strong role of salmon post-spawning nutritional state on migratory behaviour and survival. Interestingly, although we have observed salmon remaining in the Bras d’Or system for as long as six months, we have no indications that any of them resided in the system throughout the summer to feed. 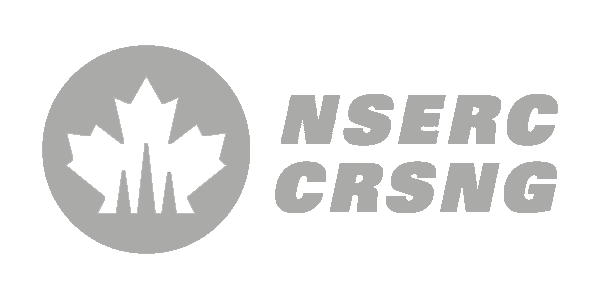 What can you tell us about working with First Nations groups and local fishermen to achieve common goals? Since moving to Nova Scotia and coming into this project in fall 2014, I have had the chance to be integrated with a very diverse group of people working together for the protection of Atlantic salmon. Our partners in this research effort include the Unama’ki Institute of Natural Resources, Cape Breton University, Nova Scotia Department of Fisheries and Aquaculture, Department of Fisheries and Oceans Canada, assistance from the Margaree Salmon Association, as well as Dalhousie University and the Ocean Tracking Network. Local knowledge on where to find post-spawned salmon in the different sections of the river at a time of the year where not many people know about their habitat preferences was particularly valuable. I think that collaboration is the key to success and it’s always very enriching to work and learn from people with diverse backgrounds. For me, conservation boils down to taking care of the many organisms we share this planet with by limiting our impact on nature. I was going to say protecting natural resources, but even the term “resources” feels wrong to me in this context because it implies making use of them. Unfortunately, I think that a lot of people still view other lifeforms as a mean to gain something. However, we should not care so much what we gain from them but simply because they exist alongside us. Making sure that there are still animals and plants to be seen by future generations is something I want to contribute to. Everyone can make a difference in conservation in their own way, I’ve found mine through science. What do you hope your research will achieve? In many ways, the research we are conducting will provide new information on a life stage of the Atlantic salmon that is not well known. I hope that this research will help us better understand some of the important drivers of mortality in the Atlantic salmon life-cycle, as well as the role that repeat spawners play in population maintenance. Additionally, our research will provide important information about the movement and residency patterns of Atlantic salmon in the Bras d’Or Lakes, information which is currently lacking but needed for the long-term conservation and management of salmon in this unique ecosystem. To me, it’s the perfect mix of intellectual challenges and physical tasks on the field, combining state-of-the-art technology with traditional knowledge, while spending time both in the lab and outdoors, ultimately working towards protecting the natural world and making discoveries. What would you say to people who want to help Atlantic salmon that may be reading this? 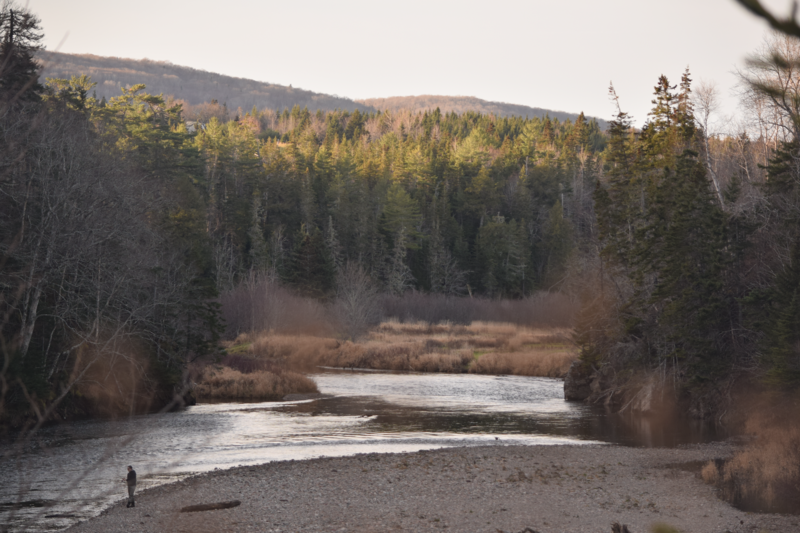 Now more than ever it is easy to get involved in conservation with organizations and community groups that are working towards the protection of Atlantic salmon and their habitats. 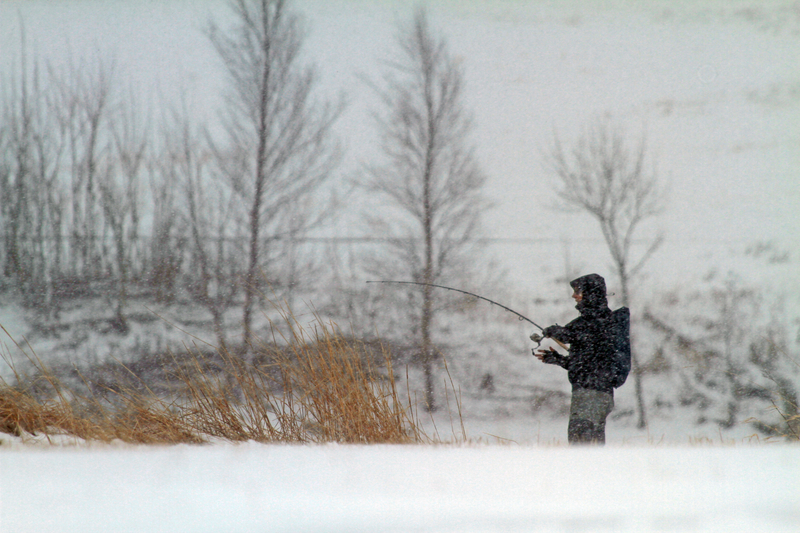 Many non-profits, research organizations, anglers associations and programs are dedicated to this goal. 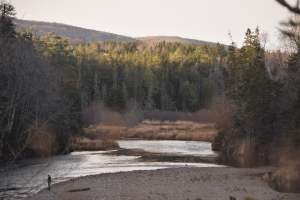 NSLC Adopt a Stream, DFO Recreational Fisheries Conservation Partnerships, and the Collaborative Salmon Initiative in Cape Breton (organized by the Unama’ki Institute of Natural Resources and the Atlantic Salmon Federation) are great examples. I got involved in conservation by using science to inform management, but there are many other ways to help. Caring about the environment is where it starts. I would encourage people who are interested in the natural world to reach out in their own communities and pursue their passion for the environment.